The holy, glorious and all-laudable Apostle and Evangelist Mark is the author of the Gospel of Mark, the companion of the Apostle Paul (as recorded in the Acts of the Apostles), and is numbered among the Seventy Apostles. He is often referred to as John Mark, and is the founder of the Church of Alexandria, being regarded as its first pope. 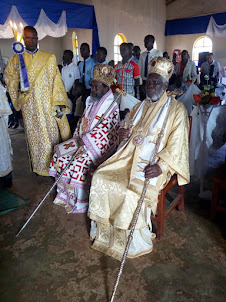 As a result, he is also venerated by the Coptic Orthodox Church as its founder as well. His symbol as one of the four evangelists is a lion. The Church celebrates his feast days on April 25; September 27 with Aristarchus and Zenas; October 30 with Tertius, Justus, Artemas, and Cleopas; and January 4 among the Seventy. 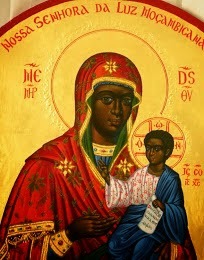 His name was John, as the Holy Bible says: "He came to the house of Mary, the mother of John whose surname was Mark, where many were gathered together praying" (Acts 12:12). He was the one whom the Lord Christ, to Whom is the glory, meant when He said: "Go into the city to a certain man, and say to him, The Teacher says, 'My time is at hand; I will keep the Passover at your house with My disciples'" (Matthew 26:18). This apostle was born in Cyrene (one of the five Western cities, Pentapolis, in North Africa). His father's name was Aristopolus, his mother's name was Mary and he was a kinsman of the Apostle Barnabas. They were Jewish in faith, rich and of great honor. 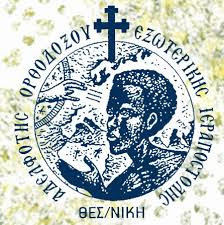 They educated him with the Greek and Hebrew cultures. He was called Mark after they immigrated to Jerusalem, where St. Peter had become a disciple of Jesus Christ. St. Peter was married to the cousin of Aristopolus. Mark visited St. Peter's house often, and from him he learned the Christian teachings. Once when Aristopolus and his son Mark were walking near the Jordan river, close by the desert, they encountered a raving lion and a lioness. It was evident to Aristopolus that it would be his end and the end of his son, Mark. His compassion for his son compelled him to order him to escape to save himself. Mark answered, "Christ, in whose hands our lives are committed, will not let them prey on us." Saying this, he prayed, "O, Christ, Son of God, protect us from the evil of these two beasts and terminate their offspring from this wilderness." Immediately, God granted this prayer, and the two beasts fell dead. His father marvelled and asked his son to tell him about Christ. He believed in the Lord Christ at the hands of his son who baptized him. and Evangelist St Mark”. 1995 (from here). After the ascension of the Lord Christ, Mark accompanied Paul and Barnabas to preach the gospel in Antioch, Seleucia, Cyprus, Salamis, and Perga Pamphylia, where he left them and returned to Jerusalem. After the apostolic council in Jerusalem, he went with Barnabas to Cyprus. 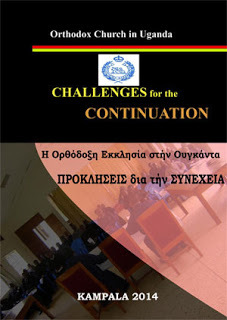 After the departure of Barnabas, St. Mark went to Afrikia, Berka, and the five Western cities. He preached the gospel in these parts, and on his account many believed. From there, he went to Alexandria in 61 A.D. When he entered the city, his shoe was torn because of the amount he had walked during his preaching and evangelism. He went to a cobbler in the city, called Anianus, to repair it. While Anianus was repairing the shoe, the awl pierced his finger. 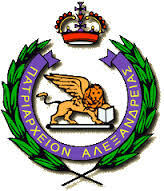 Anianus shouted in Greek saying "Eis Theos!" which means "O, one God!" When St. Mark heard these words his heart rejoiced exceedingly. He found it suitable to talk to him about the one God. The apostle took some clay, spat on it, and applied it to Anianus' finger, saying "in the Name of Jesus Christ the Son of God," and the wound healed immediately, as if nothing had happened to it. Anianus was exceedingly amazed by this miracle that happened in the name of Jesus Christ, and his heart opened to the word of God. The apostle asked him about who was the only God that he cried for when he was injured. Anianus replied "I heard about him, but I do not know him." 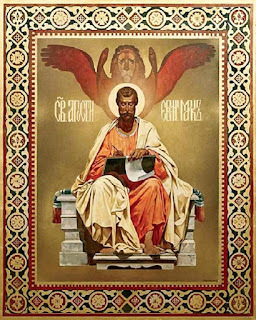 St. Mark started explaining to him from the beginning, from the creation of heaven and earth all the way to the prophecies that foretold the coming of Christ. Anianus then invited him to go to his house and brought to him his children. 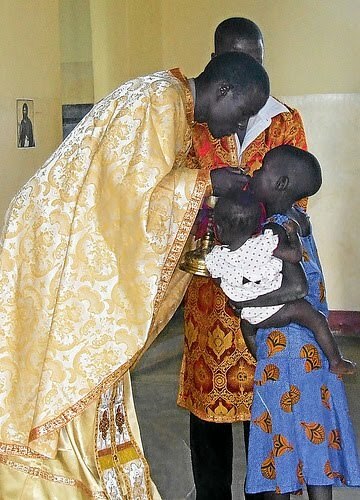 The saint preached and baptized them. When the believers in the name of Christ increased and the pagan people of the city heard of it, they were enraged and thought of slaying St. Mark. The faithful advised him to leave for a short while, for the sake of the safety of the church and its care. St. Mark ordained St. Anianus as bishop of Alexandria as well as three priests and seven deacons. He went to the five Western cities, and remained there for two years preaching, where he ordained more bishops, priests, and deacons. Finally he returned to Alexandria, where he found the believers had increased in number, and built a church for them in the place known as Bokalia (the place of cows), east of Alexandria on the sea shore. St. Mark Coptic Church in Alexandria, where the saint's head is preserved to this day. 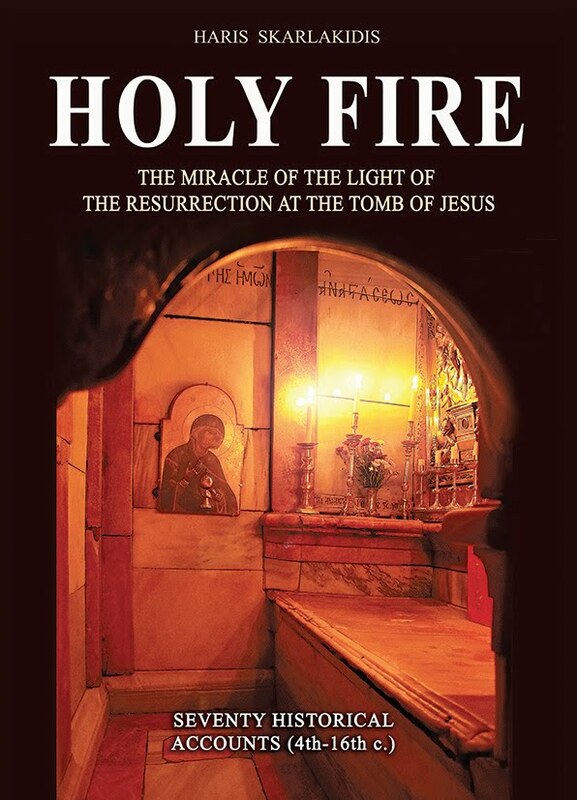 It came to pass when he was celebrating the feast of the Resurrection in the year 68 A.D. that the same day coincided with the great pagan celebration for the feast of the god Syrabis. Thus a multitude of pagans assembled, attacked the church at Bokalia, and forced their way in. They seized St. Mark, bound him with a thick rope, and dragged him through the streets crying, "Drag the dragon to the place of cows." They continued dragging him with severe cruelty. His flesh was torn and scattered everywhere, and the ground of the city was covered with his blood. They cast him that night into a dark prison. The angel of the Lord appeared to him and told him: "O Mark, the good servant, rejoice, for your name has been written in the book of life, and you have been counted among the congregation of the saints." The angel disappeared, then the Lord Christ appeared to him and gave him peace. His soul rejoiced and was glad. Nevertheless, St. Mark's death did not satisfy the rage of the pagans. They gathered much firewood and prepared an inferno to burn him. But a severe storm blew in, and heavy rains fell. The pagans became frightened and fled in fear. The believers came and took the holy body, carried it to the church at Bokalia, wrapped it up, prayed over the saint, and placed him in a coffin. They laid the coffin in a secret place in this church. In 828 A.D. the body of St. Mark was stolen by Italian sailors and was removed from Alexandria to Venice in Italy. However, the head remained in Alexandria. The program started with National Anthem of Zambia and the prayer of His Grace Bishop Athanasius Akunda [of Kisumu & Western Kenya]. The welcoming remarks by the Dean of School of Education UNZA Dr U.C Chakulimba, Mr Michael Kroupnik Honorary Consul General of Greece in Lusaka and Archibishop Ioannis of Zambia.
" 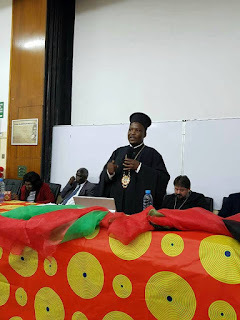 Saint Mark and His Contribiution in African Theology "
Dr Hambulo, Lecturer of the Department of the Religious Studies closed the program. 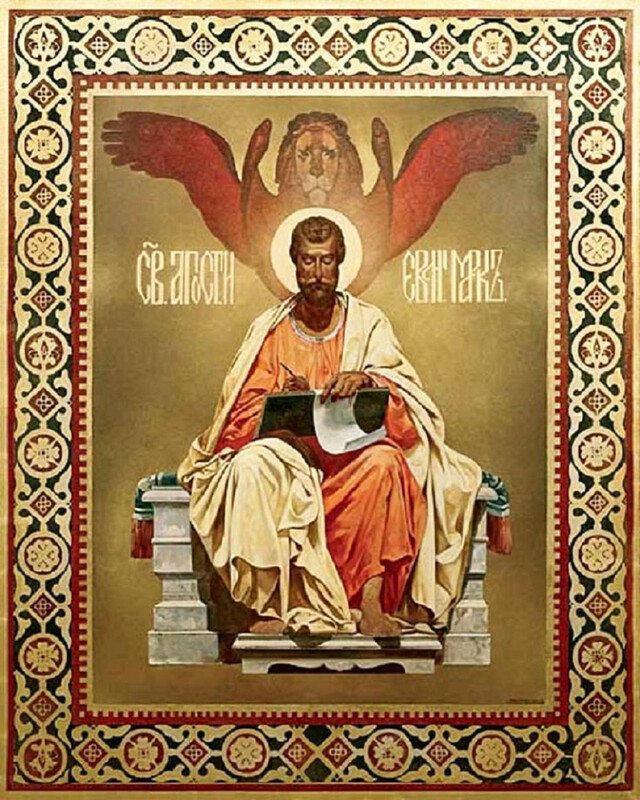 Coptic icon of Saint Mark the Evangelist. 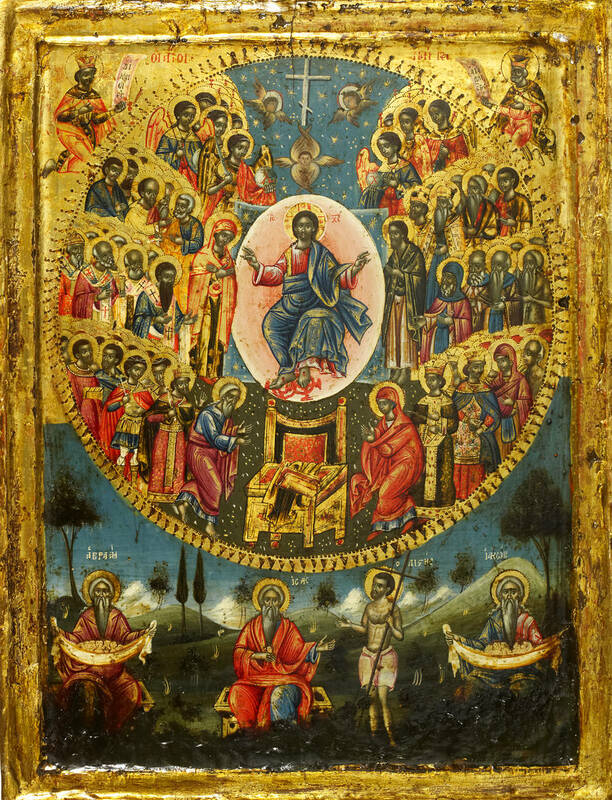 Note the typical lion near the bottom-left of the icon. 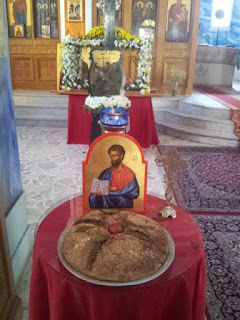 In the Non-Chalcedonian Coptic Orthodox Church, the Apostle Mark is perhaps the most beloved of all saints, being the founder of the see of Alexandria in the first century. 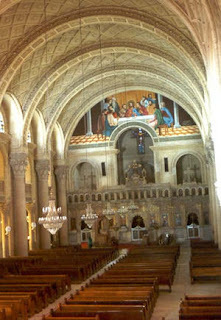 Many Coptic churches are named for him, and on the 30th of Babah (Coptic calendar), the Coptic Orthodox Church celebrates the commemoration of the consecration of the church of the pure St. Mark the Evangelist, the founder of the church in Egypt, and the appearance of his holy head in the city of Alexandria. 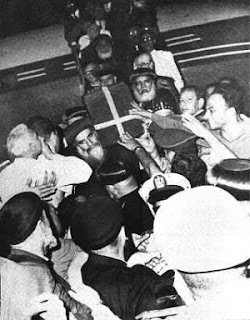 A historical event: Pope Kyrillos VI receiving the relics of St. Mark in Cairo airport. 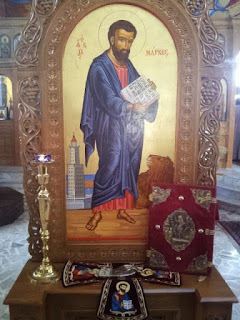 On the 17th of Baounah (Coptic month), of the year 1684 A.M. (Coptic calendar), which was Monday, June 24, 1968 A.D., and in the tenth year of the papacy of Pope Kyrillos the Sixth, 116th Pope of Alexandria, the relics of St. Mark the Apostle, the Evangelist of the Egyptian land and the first Patriarch of Alexandria, were returned to Egypt. After eleven centuries outside Egypt, St. Mark's body has at last returned to the same country (Cairo, Egypt) where he was martyred, and where his head is preserved to this day in the city of Alexandria, Egypt. 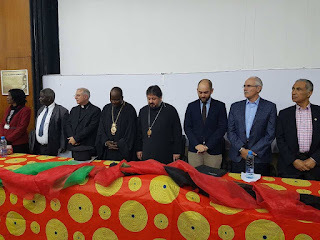 Pope Kyrillos had sent an official delegation to travel to Rome to receive the relics of St. Mark the Apostle from the Roman Catholic Pope Paul VI. 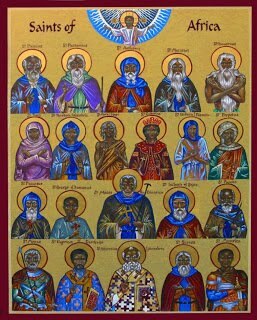 The papal delegation consisted of ten metropolitans and bishops, seven of whom were Coptic and three Ethiopians, and three of the prominent Coptic lay leaders. 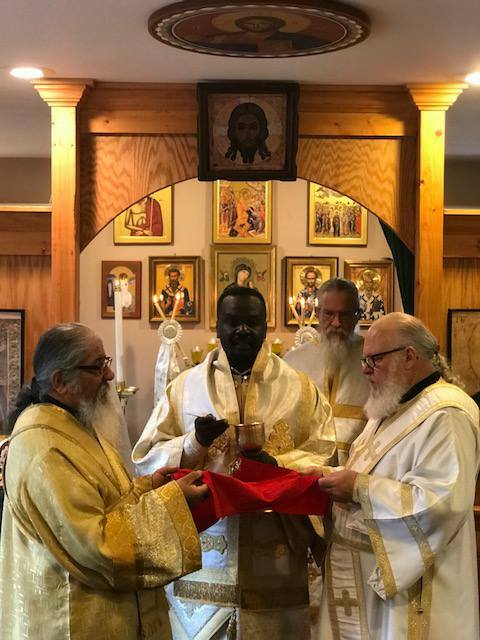 The Alexandrian delegation received the relics of St. Mark the Apostle on Saturday, June 22, 1968 A.D., from Pope Paul VI. 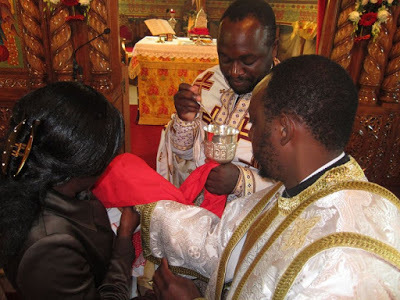 The moment of handing over the holy relics, after eleven centuries, during which the body of St. Mark was kept in the city of Venice, Italy, was a solemn and joyful moment.